When to Choose a Value VM Plan? 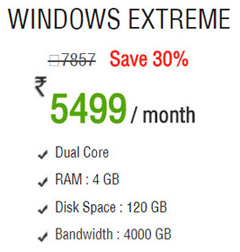 What is the right time to select a Value VPS? 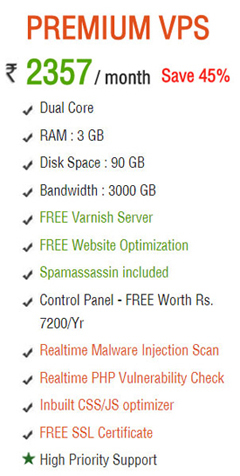 Value VPS server package is mainly used for a moderate to high traffic website. 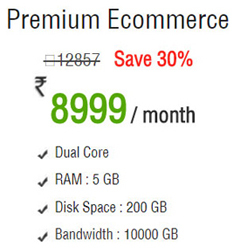 Value VPS is a better option when there is an increase in the Bandwidth and RAM usage. 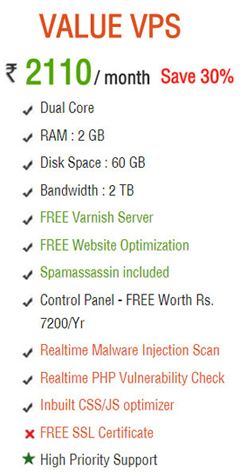 Value VPS is the most sought after VPS plans of Hosting Raja as most of the Hosting Raja customers start with a Value VPS plan because this plan gives enough bandwidth, RAM and Disk Space for a website with medium to high traffic and it can be used in a long run. 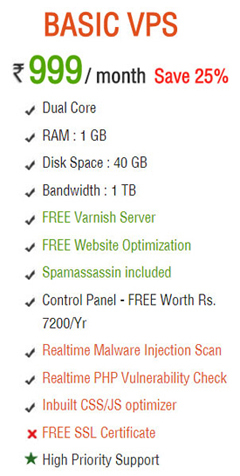 Value VPS performs best for a site with a traffic of 1500 users a day. When there is a sudden increase in website visitors the website will automatically consume more bandwidth. There will be a need of increased RAM size to handle httpd request that will be the perfect time to choose a Value VPS Plan. A Value VPS plan will have a better speed than a shared hosting plan. When there is a shortage of RAM size then there is a chance than many services may stop running. When to Choose a Value VPS? If you are running android API with full control Value VPS is a good option. To keep the website stable in terms of performance and speed when it experiences a traffic of 1500 users per day Value VPS is a better option. Value VPS is a good option for a small to medium website when it handles payment and sms gateway as it deals with sensitive and secure information. Value VPS is helpful when you have published an android app on google and you want to store your app’s backend API’s in a server. In a Value VPS you will be provided with a root access to run mysql jobs, triggers which is not provided in a shared hosting package. 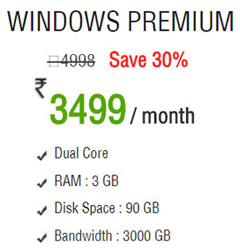 When to migrate from Value VPS to Premium VPS? When your website becomes a small scale online business where it handles a large number of real time visitors shifting to a Premium VPS plan would be the best option. When the number of website visitors increases above 1500 visitors per day there can be a need to upgrade to a Premium VPS plan. A Premium VPS plan supports popular applications and high end resources and custom softwares which the other small hosting packages aren’t able to handle. Your Value VPS plan should be upgraded to Premium VPS when you want to host multiple websites without any performance degradation.